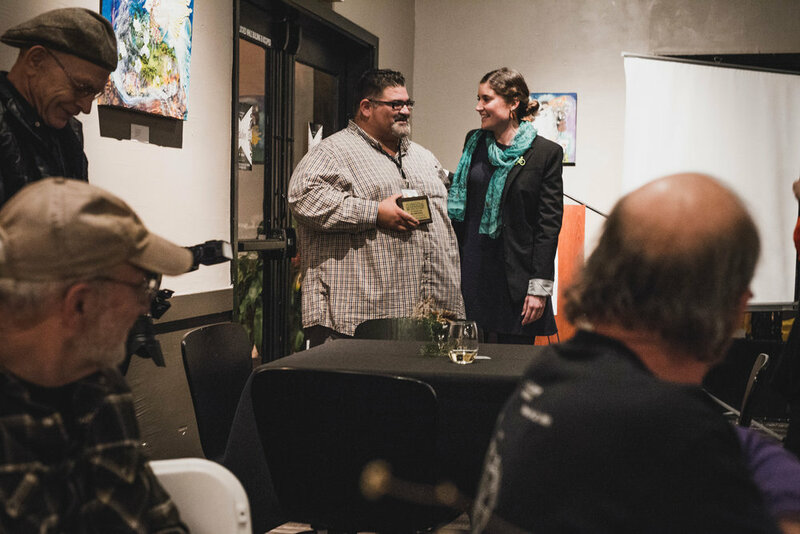 On December 2, 2017, we hosted our Annual Dinner & Silent Auction and presented the 2017 Wheelie Awards to three amazing community members making an impact on the promotion of bicycling and active transportation in their industries and beyond. These honorees often work tirelessly pro bono, behind the scenes, and beyond overtime to ensure that biking is a safe, accessible, integral part of Santa Cruz County culture. Awards were appointed in three categories: Advocacy, Community Building, and Education, corresponding with the spheres of Bike Santa Cruz County’s work in those three areas. We are so excited to celebrate Watsonville City Councilmember Felipe Hernandez in the Advocacy category, journalist and community connector Karen Kefauver in the Community Building category, and youth educator and organizer Kymberly Lacrosse in the Education category. Watsonville City Councilmember Felipe Hernandez has shown a tireless commitment to promoting bicycling in Watsonville as the current Mayor Pro Temp and former Mayor of Watsonville. Hernandez is the creator of Bike Friendly Watsonville, a group that promotes bike riding, advocates for improved infrastructure, and organizes an annual community bike ride open to people of all ages, backgrounds, and abilities; his current passion project is the installation of the first cycle-sport pump track in Watsonville to provide a safe, healthy way for youth to exercise and socialize. He is an active participant of the South County Bike/Ped Work Group and provides recommendations that push other council members to think outside the box. Other nominees in the Advocacy category were Rick Hyman, Regional Transportation Commission Bicycle Advisory Committee member (and deemed Santa Cruz County’s unofficial bicycle historian); and Theresia Rogerson, a Health Educator for the Santa Cruz County Health Services Agency, and leader of the Community Traffic Safety Coalition and the South County Bike/Ped Work Group. 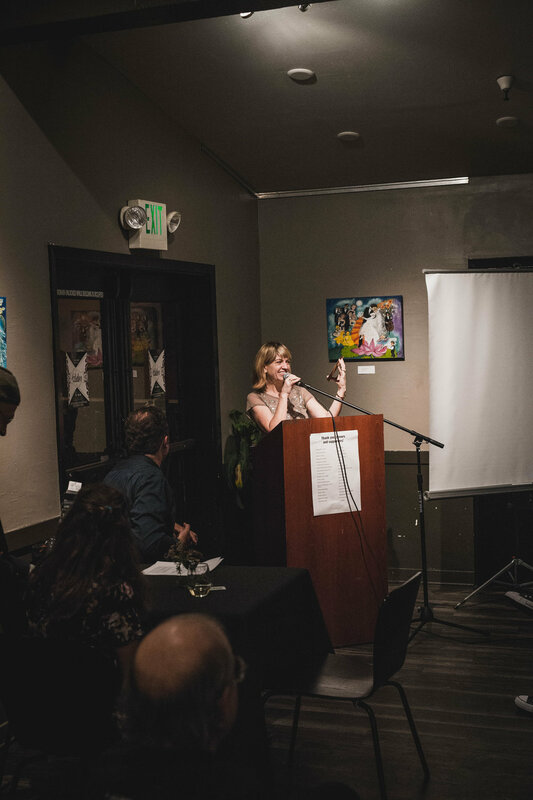 Karen Kefauver has been a journalist and editor in Santa Cruz for 23 years, beginning as an editor at Good Times newspaper. She began volunteering with Bike to Work and eventually joined its board of directors, launching her passion for and career in all things cycling. Kefauver has written about bicycling for the San Jose Mercury News, the San Francisco Chronicle, and currently the Santa Cruz Sentinel, for which she writes the Spin City bicycle column. 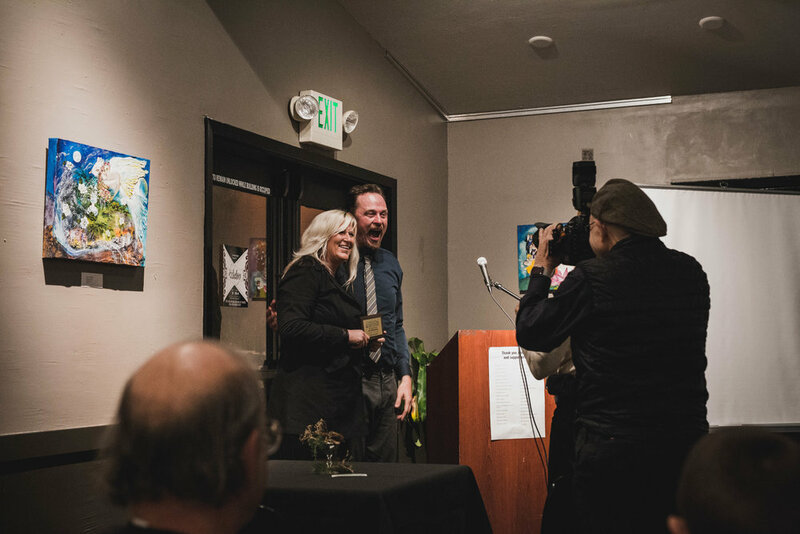 During the past seven years, her stories have raised awareness of bicycle safety, infrastructure, and, most recently, the City of Santa Cruz’s forthcoming bike share program—always shining the spotlight on others who work to make Santa Cruz a safe and amazing place to bicycle. Other nominees for the Community Building category were María Esther Rodríguez, City of Watsonville Public Works and Utilities Assistant Director of City Engineer; and Kirsten Liske,Vice President of Green Communities at Ecology Action. Kymberly Lacrosse is the Executive Director of Growing Greatness, an organization that facilitates youth leadership and advocacy workshops nationally, standing for equity and justice. While working with United Way and Jóvenes SANOS for almost a decade, she helped secure funding through the Santa Cruz County Regional Transportation Commission for the first Open Streets Watsonville; participated in the planning of Watsonville’s master bike plan; created and hosted Family Fitness Challenge Day for five years; and advocated and educated for bike safety and safe routes to schools at the City, County, State levels. Her work with Jóvenes SANOS was acknowledged statewide and nationally, including with an award from the Robert Wood Johnson Foundation. Lacrosse also spearheaded two policies advocating for healthy eating that were the first of their kind. Lacrosse has volunteered with Trips for Kids for the last six years as Kids’ Coordinator, Vice President, and President starting in 2018. Other nominees in the Education category were Kira Ticus, Bike Smart! Coordinator, former Bike to Work organizer, and long-term transportation staffer at Ecology Action; and Patrick Alvidrez, a youth educator with Project Bike Tech and Bike Santa Cruz County’s Watsonville Earn-A-Bike program.